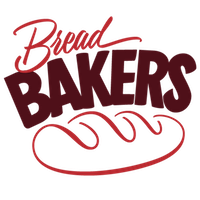 If you are a follower of this blog, we have had several Mega Marathons over the past few years every April and September- Baking, ABC, BM Buffet - it surely is a lot of fun as we prep and plan and cook and re-cook and re-shoot and change our lists before the show begins. 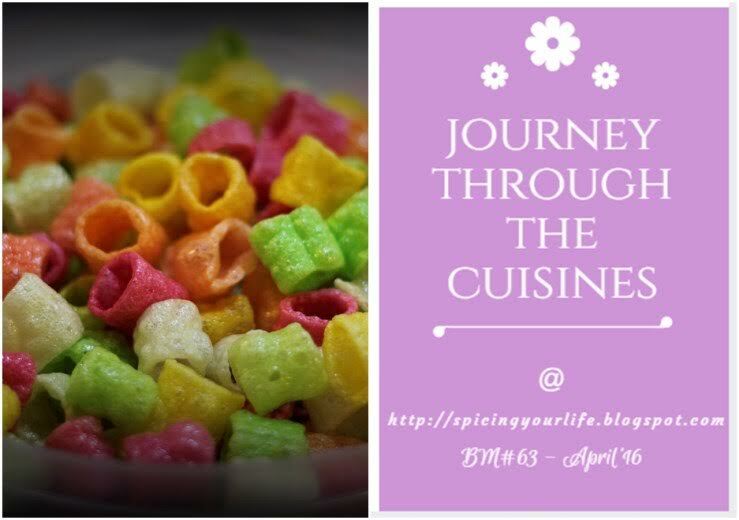 I have chosen Tamilnadu cuisine this month to add these dishes to my blog's repertoire :it was a wonderful opportunity to read so much about the cuisine I cook almost everyday, and hopefully you - the reader - would also enjoy this journey with me. 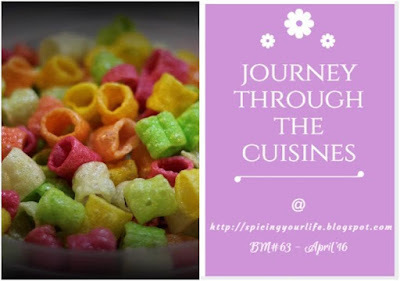 For ease, I have 6 sub categories under Tamil Cuisine for this marathon : Snacks (incl Evening Tiffins), Festival recipes / Naivedyam, Sides / Gravies , Condiments, Main Course (Rice / Bread), Dessert or Sweets. The winner of the self-sponsored giveaway (chosen via an online random number generator) is entry no. 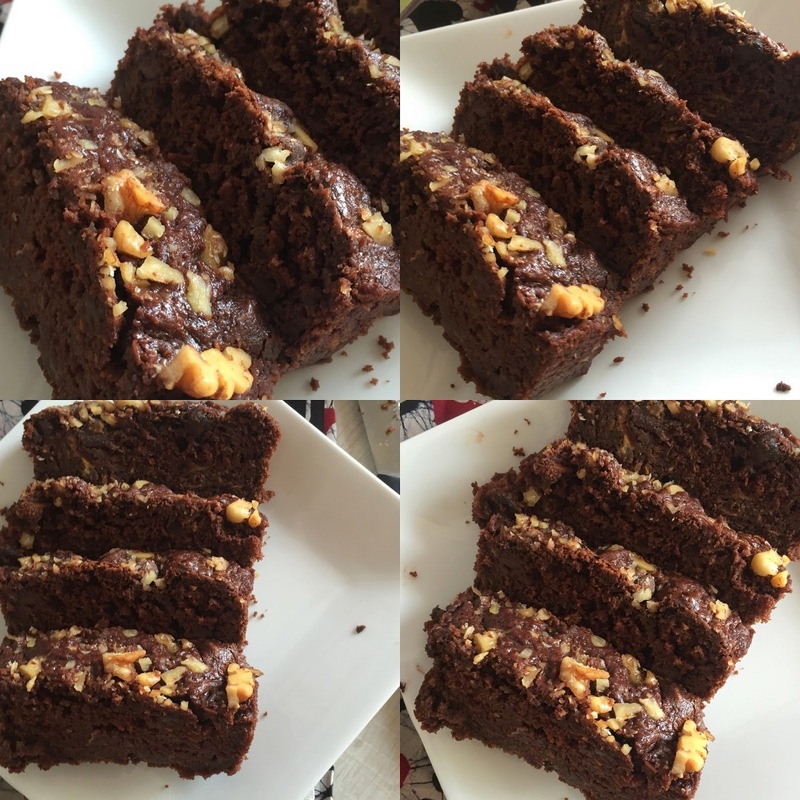 23 in the list......................... Sapana Behl for her yummilicious Rigo Janci (Hungarian Chocolate Cake) !!!!! Congrats, Sapana :) Do check your email for further details on the surprise giveaway !! 1. 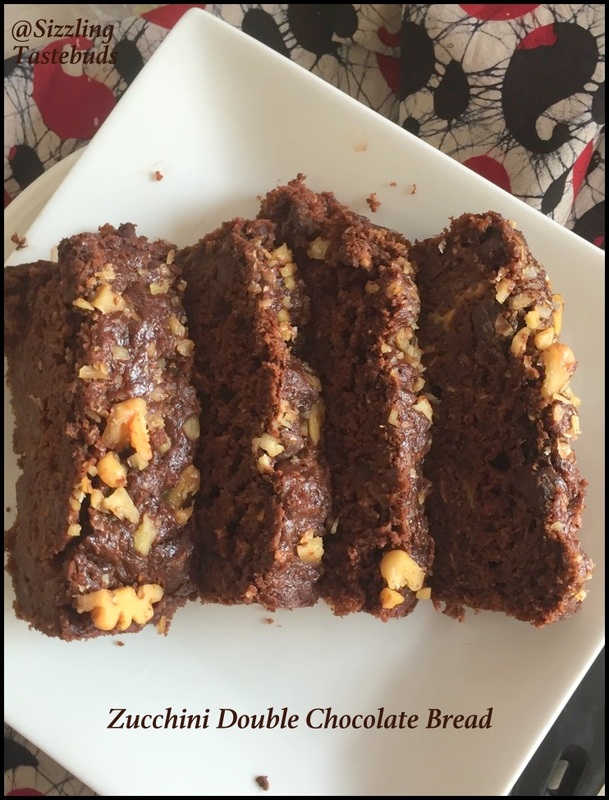 As mentioned in the event announcement, only egg-free / vegan chocolate entries were accepted, owing to this 3 entries have been deleted post moderation. 2. 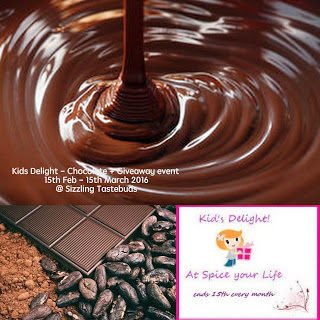 Also only those entries with the hashtag #KidsDelightChocoGiveaway have been entered for the giveaway, although all eggless entries are part of the roundup. Cook under 30 mins / Quick Cook dishes : thats the theme for this week's Blogging Marathon which could feature any main course or side dish. So after Jain style Corn Palak Curry , Menthye Bataani Bhath, heres another quick to make and kid pleaser - Veg Fusili pasta in Tomato Sauce. Technically a fusion dish, this was the first pasta dish that my little one ate. Both kids and the husband prefer tomato based pasta dishes to the white sauce, while I like the latter. Hope you enjoyed this series of Quick Cook dishes. In a sauce pan, add oil and saute the blanched veggies, add the sauce and saute once more. Now add the boiled pasta, adjust seasoning and serve hot. 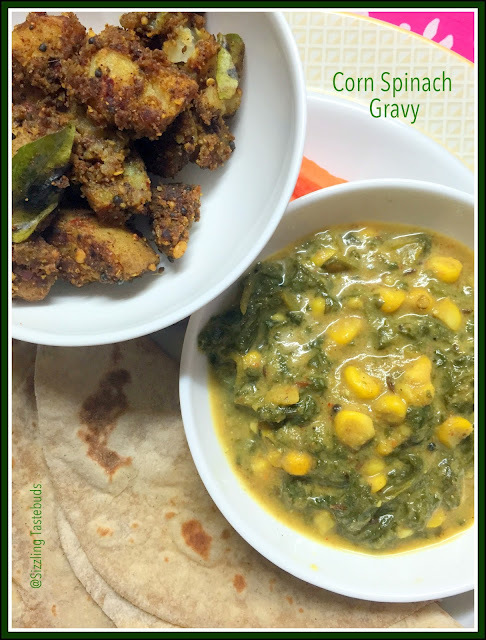 After yesterday's Jain Style corn palak curry, today's is a quick to make yet filling Satvik (no onion no garlic) one pot meal. I have memories of mom making this whenever mine or sister's friends came over for extra group studies or even a casual luncheon. Paired with any raitha or just plain yoghurt / curd will make for a quick weekend / weekday meal. * if you have readymade vangi bhath powder , use 2 TBSP of the same ; else you can make the spice powder indicated above. Cook rice as per variety you are using, once done, fluff it up in a flat plate and cool. Wash and chop fenugreek leaves well. In a pan, heat oil, splutter mustard seeds, add turmeric and the chopped fenugreek leaves. Add a pinch of salt and sauté for 2-3 mins till slightly wilted. Now add the peas and let it cool covered for 5-6 mins with a sprinkling of water. Once the veggies are cooked, add the amchur / tamarind paste , Jaggery and the spice powder. Mix well. Now add the cooked rice and mix gently. Adjust salt and spices if required. Serve hot or warm with plain yoghurt or raita of your choice. 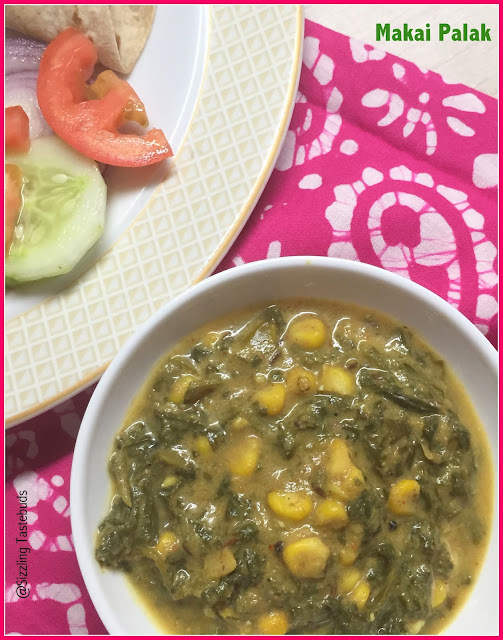 We love Corn and Spinach at home, and make Dal Palak for dinner or a Corn Sundal / Steamed Corn for snacking. 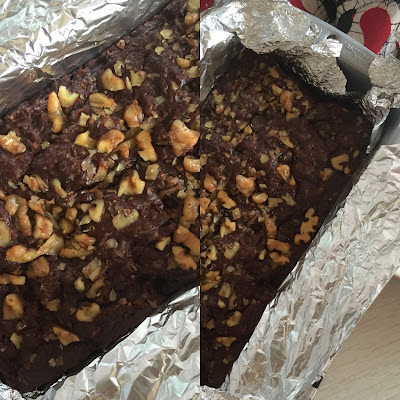 I had bookmarked this recipe from Anjana's blog and made this without any Onion or Garlic, and loved it a lot. Served with Hot Phulkas / Chapatis (wholewheat flatbreads) & Masala Arbi (recipe soon), it makes for a very interesting side dish. Do try this out and let me know how you liked them. Sending this to this week's theme of Quick Dishes for Blogging Marathon. Blanch spinach leaves and reserve in ice cold water. Drain and puree into a paste. Saute the ingredients under "To grind" in 1 tsp oil till tomato shrivels a bit and grind to a smooth paste once cooled using some water. In a pan, temper with the tempering ingredients, add the turmeric, pureed spinach, salt. mix well and let the spinach paste cook for 3-4 mins till it dries up a bit. Now add the pureed tomato masala, dry spice powders and corn. Mix well and let it simmer lightly for 8-10 mins. Adjust water to desired thickness, adding a tablespoon or two at a time. Finish with crushed kasuri methi and lemon juice. Adjust salt if required. Both my kids are not too fond of Indian sweets or chocolate, unless they are Ladoos or Dark Chocolate respectively. How about combining the two for a delectable sweet - and this was born in just under 5 mins, and they were gone in less !! A 3-ingredient Zero Cook sweet nibble that works well for midnight sweet cravings as well as after school snack, its sure to be a delight for the kids. 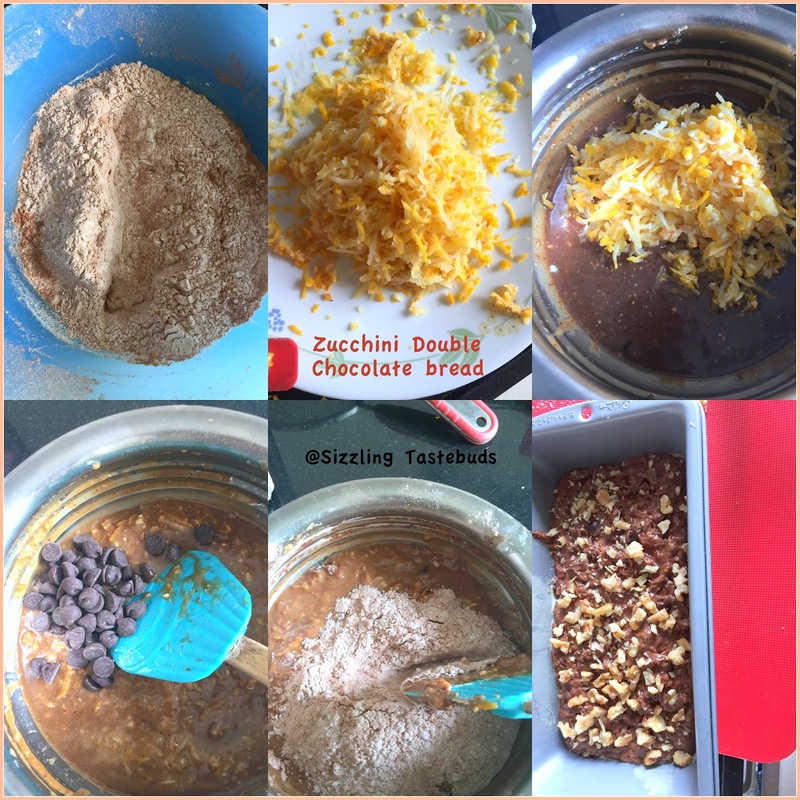 Although I had another Choco Coconut Ladoo with Choco chips, I am hoping another version of this wont hurt :) Bachelors / Bachelorettes / Dorm students can easily make this zero cook recipe too ! So, Concluding the Coconut series this week, we have Coconut Condensed Milk Ladoo. Not much of a recipe, but thought its best to document it somewhere. Hope you enjoyed the Coconut series with Thengai Sevai & Kothamalli thengai Chutney dished out this week. Stay tuned for another theme next week..
Glazed cherries for topping (Optional) - 4 nos. 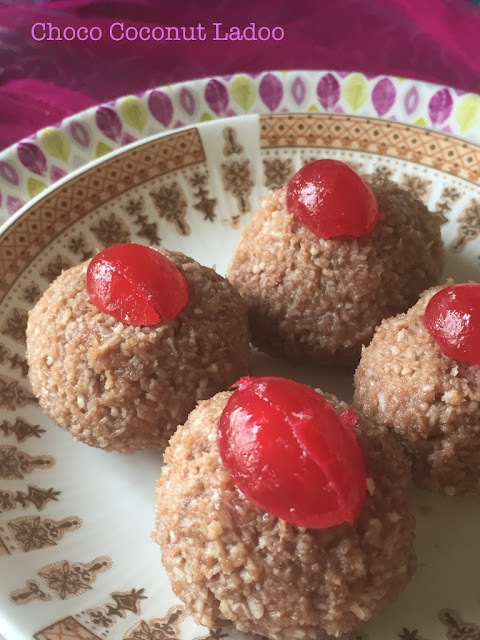 Grease your hands and make ladoos, top with halved cherries if using, and serve immediately as individual servings (or refrigerate upto a week). Chutneys are my go-to dish for Idlis and Dosas which are made almost everyday for Breakfast. We do prefer non-coconut chutneys like Apple Chutney,Mooli Chutney, Quick Tomato Chutney , another version of Coriander chutney without Coconut etc sometimes we do indulge in Coconut based Chutneys. While we make the classic Coconut Chutney (which I am yet to blog !! ), we also like this coriander flavoured Coconut chutney that goes very well with any South Indian breakfast - Idli / Dosa & uttappams / Pongal / Upma / sevai / Vada and my elder one likes it particularly. Lets get to the recipe now. Do make this and let me know how you liked this twist. Totally Vegan and GF too, so picky eaters can make this regularly. In a pan, add 1 tsp oil, fry methi seeds, immediately add the tamarind and coriander and fry well till coriander is wilted a bit (about 2 mins). Switch off flame and add coconut and fry for 1 mins. 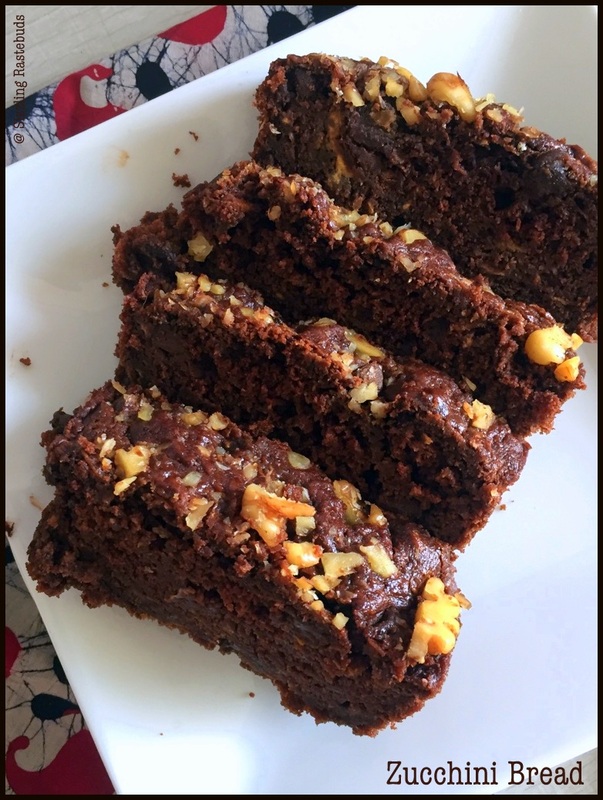 Cool and grind with little water along with with salt and jaggery to a smooth pouring consistency. prepare tempering with remaining oil, mustard seeds, curry leaves. Pour on chutney. Mix well and serve. Keeps upto 3 days under refrigeration. Sevai (or Semiya Upma aka vermicilli upma) is usually relished as savoury - with lemon/ tamarind / tomato flavours at our house. I saw this variation in a magazine on my last visit to Bangalore and was quite intrigued to make it asap. It called for Rice flour based Vermicilli which i prefer to the Durum wheat vermicilli for savoury version. The Durum Wheat is usually reserved to make Badam Semiya Payasam. We usually coconut in moderation mostly in Chutneys or for grinding the masala for Sagu / Kootu / Arichuvitta Sambhar (side gravies). In case of any excess coconuts lying at home, I prepare Mithai (Indian Sweets) like Thengai Barfi or Cashew Coconut Barfi (Coconut Fudge) for the kids that can be consumed over a week. We are not great fans of Coconut milk, and do restrict them to Thai Green / Red curries. Over this week, I shall present 3 dishes using Coconut as a prime ingredient. 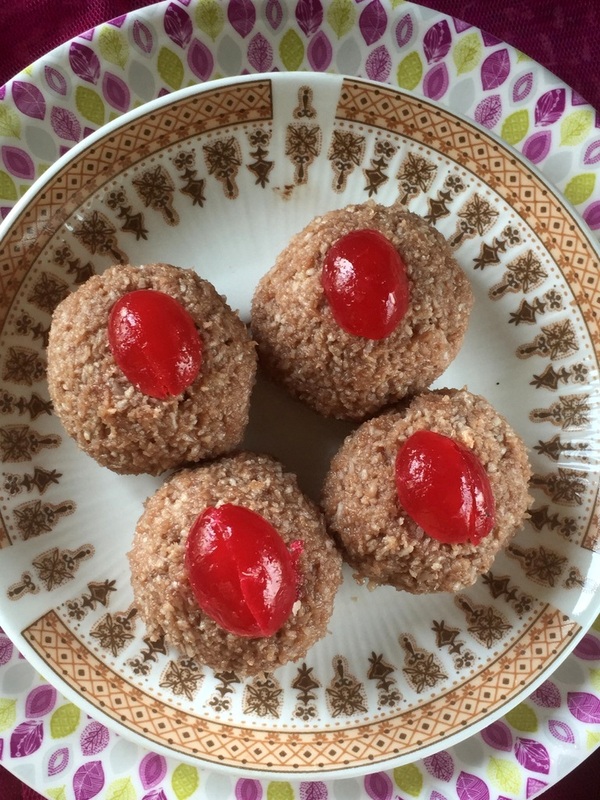 First in the series is Thengai Sevai or Coconut Sevai. Its quite spicy and flavourful on its own, perhaps if needed can be paired with just a pickle. Grind the Coconut, green chillies, cumin and black pepper with very little water to a slightly coarse paste. Keep aside. Boil and drain Vermicilli according to pack instructions. In a non stick pan, heat oil. Splutter Mustard seeds, urad dal and other tempering ingredients. Add the ground coconut paste, salt & saute well. Ensure the paste doesnt stick to the bottom else will burn. Now add the cooked and drained Rice Sevai and toss it a couple of times till its coated with the paste. Adjust salt if required. Serve immediately. Tastes best when hot.